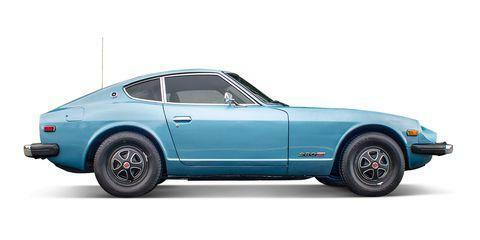 One of the common rust areas on the 240Z is in the front wheel wells just aft of the torsion rod fitting on the frame. There is a doubler / stiffener spot welded to the inner wheel well that traps water between the two pieces of metal and rusts from the inside out. I will not repeat the next thoughts that went through my mind. You can fill those in for yourself. After a few minutes and some regrouping I decided to go ahead and remove all the under coating. I got out my rubber gloves paint stripper and putty knife and removed all the undercoating. That exposed more rusty metal which lead to getting out the sand blaster and cleaning the entire wheel well. I cut the damaged area out. Sandblasted and treated the area in the boxed frame with Phosphoric acid. I then cleaned the area with Marine clean and then Metal Ready getting ready to refinish this area after the repair was complete. I then cut a cardboard template out to fit over the cut out area. I then cut a piece of 16 gauge flat sheet steel to match the template approximate size of 8â€� X 16â€�. Fit the first piece to fit against the floor board and then attached a Â½â€� x Â½â€� angle to the new plate following the contour of the floor board. Notching the angle as needed to follow the bends. I matched the height of this piece to match the top of the sheet metal on the other side on the inner fender well to gain maximum strength when I welded the pieces together. Cut another piece of 16 gauge metal 3â€� X 12â€� and bent a Â½â€� lip 90 degrees. Fit it up to the angle along the floor board and against the top flange of the frame rail to replace the original doubler. This doubler I welded solid all the way around. 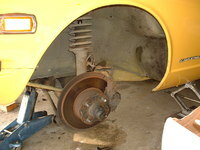 I then slotted the front edge to follow the contour of the wheel well frame bent the pieces to fit the contour. Rechecked the fit and then clamped it into place and welded the built up pieces into place.